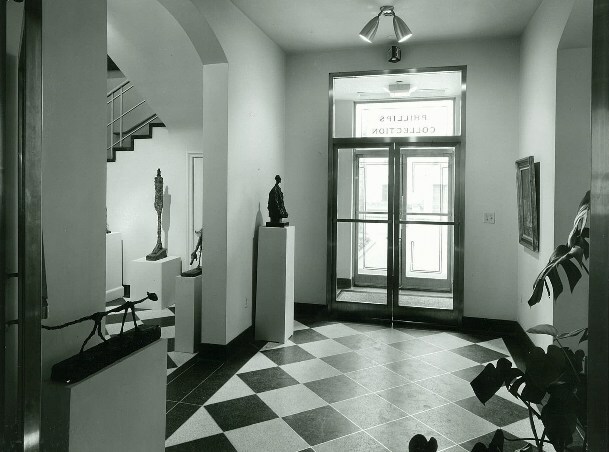 Entrance to the 1960 annex with Giacometti exhibition, 1963. Photo from Phillips Collection Archives. Out of all this creative exploration there emerges one constant – one single ‘artistic personality’ – Berenson’s sine qua non. It is to be found in [Giacometti’s] every period. It is the image of a human being, miniature or massive, the image of a lonely estranged presence beyond specific description. This entry was posted in Phillips Flashback and tagged Alberto Giacometti, archives, Duncan Phillips. Bookmark the permalink.